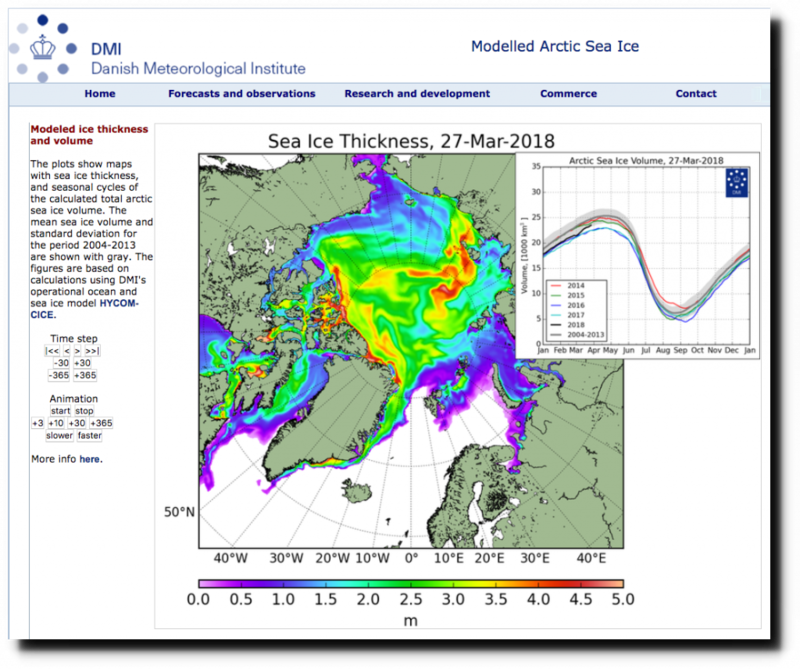 According to the Danish Meteorological Institute, Arctic sea ice volume is growing rapidly, normal and the highest in several years. 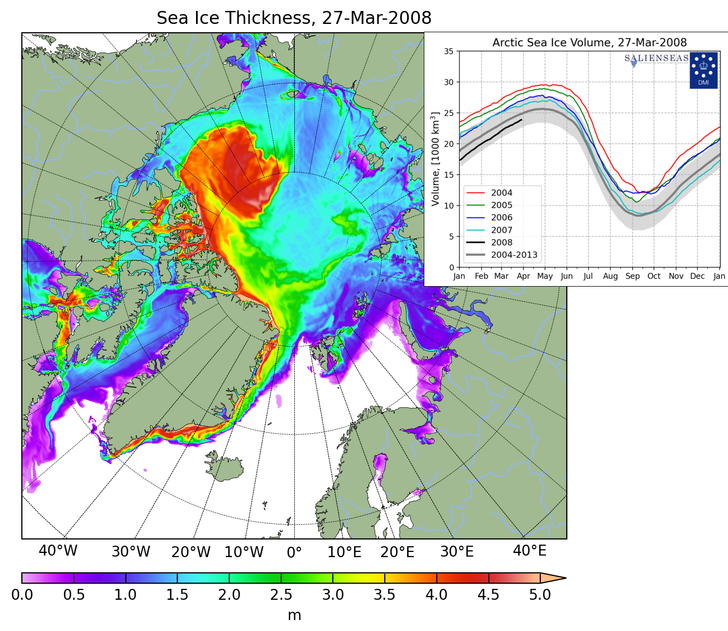 The extent of thick ice has doubled over the last ten years. This is of course the exact opposite of what fraudsters at National Geographic and Newsweek are claiming. For people on the political left, facts, science and data are simply not important. Apparently it is OK for them to simply make things up. This is a decently long record from Greenland I pulled from the HGCN. It runs from 1900 to 2011. These are I believe raw, unadjusted data. At least, that is what the file info says. This is an interesting pattern. I think someone here will probably have some insights. Suffice it to say, if the pattern already established holds then by questimate we should be getting pretty chilly over the next 10 to 30 years. By the way, I have been communicating with your buddy Katherine Hayhoe on Twitter. She started out with the usual smug “go visit these websites” and “watch this video on coral bleaching” blah blah even though I told her I wasn’t interested in any websites. I was specifically interested in learning how they formulate a global average temperature going back in time. I asked if she had any experience with the source data. She said she did. So I have been periodically dropping information such as this and pushing her for answers. We will see how that goes. But, I get the clear impression I have shocked her to some degree. This next one is a bit large. We shall see. I hit Katherine with this last night. These readings run from 1895 to 2011. Two things are of interest to me. One is the distinct difference between population centers. For example, one of the big risers is in Tasmania where there has been a lot of growth. That city is now over half a million souls. What was it back in 1895? The other is the completely different pattern between these records and those from the Northern Hemisphere. So far this has been good for me. I have learned a bit more about how these people think. The more I learn, the more holes I see. That is what I have found . The deeper I dig, the more holes I find. I often wonder if those who are completely, over the top certain about CAGW are looking at the same evidence that I’ve looked at. There is no slam dunk piece that disproves CAGW, but lots of little elements that, in the aggregate, just don’t add up. That is a good article. I have saved a copy. I actually did a similar analysis, but I hit a limit to my smarts. The part about CV and CP is key. Because the atmosphere is a pressure gradient. Any HVAC engineer will tell you heat capacity changes with pressure. That is how an AC works. You pressurize the coolant, which lowers its heat capacity causing it to become vary hot so you can send it through a radiator and blow lots of cooler air through to absorb heat. Then you reverse that process by letting it go to a low pressure. That drop in pressure causes a huge drop in temperature so you can then absorb energy from the warmer air in the house. The fact is the atmosphere being cooler as you go up doesn’t mean there is less energy per uniform mass. There may well be less energy, but it isn’t a function of temperature alone. It is a function of temperature and pressure. To illustrate this principle, there is a photograph of from a high altitude plane, could have been an SR-71, but I am not sure, who took a glass of water up with him. Probably pour the water on the way up. When he hit a certain altitude the water began boiling on it’s own. It was in our Encyclopedia set from 1968. There actually is a slam dunk here in my opinion. It works like this. When you construct an average of outcomes of samples from a process you are creating a model of the process based upon sample results. In this case, to analyze what is happening, we are constructing this average as an average of thousands of processes which are presumed to relate linearly with the overall process. Each of these sub-processes constitutes a sample of the over all process. Having constructed this model of the overall process, it is necessary to validate the model. That is, how well does the model work? One fundamental way of doing that is to see how accurately it models the sample processes. Meaning, how good of a predictor is the model for what you already know. Understanding how well existing data conforms to the model is a necessary step before extrapolating that model upon the entirety of the process. The way I chose to do so was by selective sampling of the sub-processes. In doing so I found my models based upon a grand average of stations was not very good. It completely over estimated and under estimated warming based upon certain factors. One of those factors was population growth. I needed a separate model to properly quantify places like San Francisco and San Diego from that needed to model places like Omaha and El Paso. Once I made that differentiation the models worked. But then I realized I needed a completely different model for Australia and really two different models based upon population growth. So, to accurately model the hard data I have I need a minimum of four models. See what I am saying here? Now, compare those same “audit” points to the NASA or Berkeley Earth. They fail far worse than my original single model. If they actually took that very necessary step to creating a model of the underlying data, they screwed up royally or decided to ignore it. Bogus methodology that undermines everything built from it. The foundation of the fantasy castle is gutted. The Hobart surface temperature station at Battery Point would have to be amongst the WORST sited temperature gauges in the world !! With the waning solar cycle, the atmosphere has shrunk and at least I, living in Michigan, have noticed cooler weather (not to be mixed up in definition with climate.) Seeing as the earth and atmosphere is a curved surface, does the change in area of the atmosphere or the curvature of the atmosphere impact the amount of solar radiation absorbed by the atmosphere? The volume is the third lowest in the last 5 years… a period of the lowest volumes in the 40 year record… and that at the point in the year when volumes are highest. 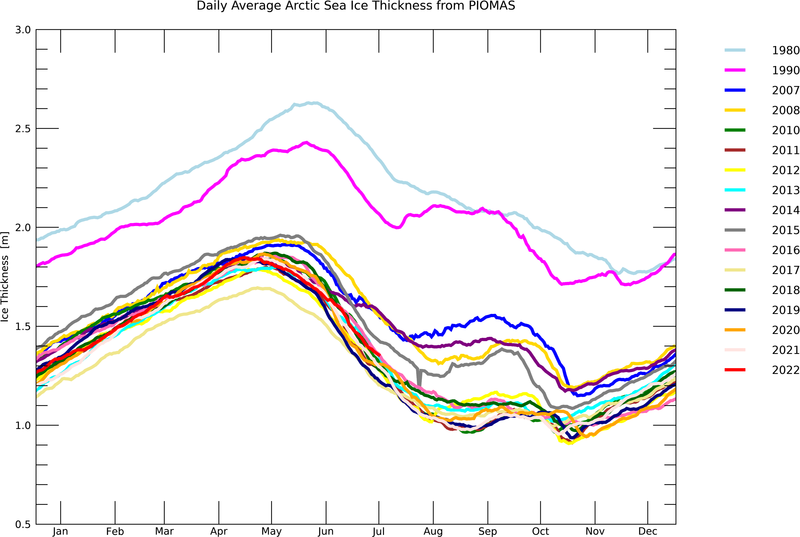 and again we see the thickness in the winter following one of the lowest extents on records – the worst possible ice thickness chart, I believe, dishonestly compared with today’s chart. Me Griff, why are you willing to sacrifice millions of humans over a natural cycle? Ice melts, stupid. Always has, always will. What an idiotic statement – stupidity exists, always has, always will. It could be you are splitting hairs. For example, does anyone know what the measurement variability is? I promise you it isn’t zero. I think in the long run it won’t matter. It is pretty clear conditions reached in 2000 or to 2011 or so were very similar to those reaching in 1930 to 1945. In fact, there have been numerous news paper clippings talking about the loss of ice and retreat of glaciers from that earlier period on this very site. Since this is nothing new and the world didn’t burst into flames back in the 1930’s chances are it won’t do so now. Also, the world didn’t burst into flame back in the age of Viking colonization and exploration which archeology tells us was warmer than either modern periods it clearly isn’t going to do so now. 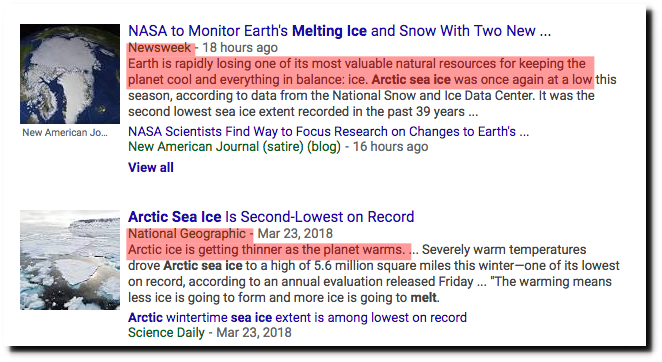 And since the bogus claim of global warming is that warming is occurring at a pace and scale never seen before because CO2 is increasing at a pace never seen before we can pretty much consider the entire theory debunked. 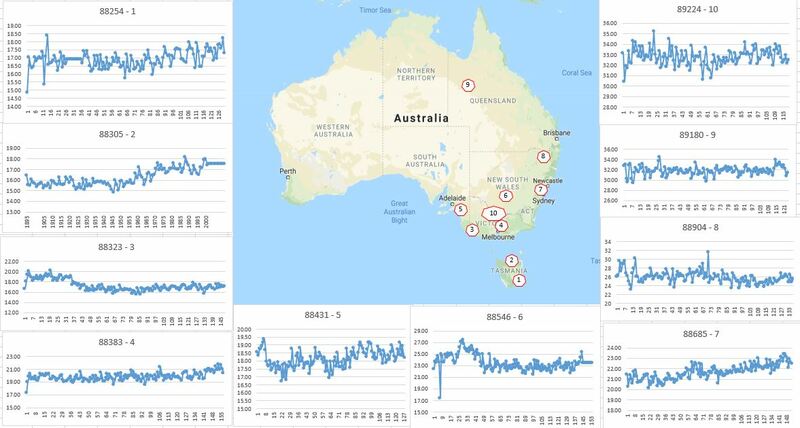 And lest you decide to go with that bogus “just because it isn’t happening in your state…” argument, which anyone espousing a global it’s happening everywhere apocalypse should be ashamed to do, there is the evidence I presented above showing it isn’t true in Australia either. In fact, the 1890’s average is within .25° of the 2010’s average. Based upon the standard variability of the data year to year that is not enough difference to say there actually is a difference. That’s two locations at extremes of the world with no global warming. and the arctic will still be there -alive and kicking. that people will have to shoot them in huge numbers to bring the population down to reasonable numbers which are no longer a threat to people and other animals. By then we will all be vegans with a deep aversion to evil boom sticks. So we will be unable to cope with expanding polar bear populations as well as growing wolf, coyote, and feral pig populations. In places down close to the border feral Chihuahuas are already a problem. Those packs will continue to grow. People will be forced to congregate in fortified urban centers where they will try to frighten predators off by waving “human, not food” signs. I am sorry, I just could not resist hitting multiple targets in one ridiculous moment. Ah, Griff’s back. Are we going to start getting our daily drive-by Griffings again? It comments then doesn’t respond when people poke holes in its posts. Hey Griff. Churchill is going down to -30C tonight – it ain’t over yet. 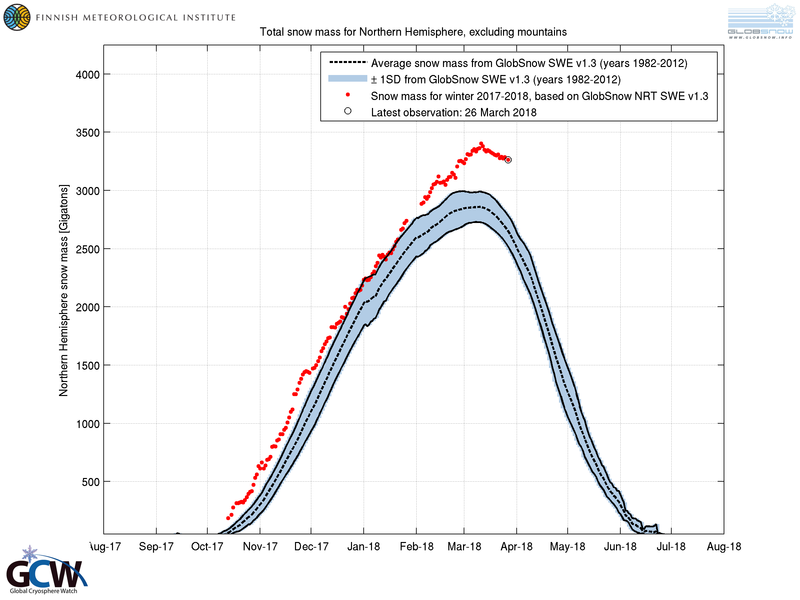 The Troll Griff has been shown gobs of published science papers in the last year showing that what it is now is higher than most of the interglacial period. He refuses to acknowledge them. Thanks….sadly, our society seems to be inundated with Griffs….. He does know the word Eemian, though. Poor child-mind is so hilariously IGNORANT. 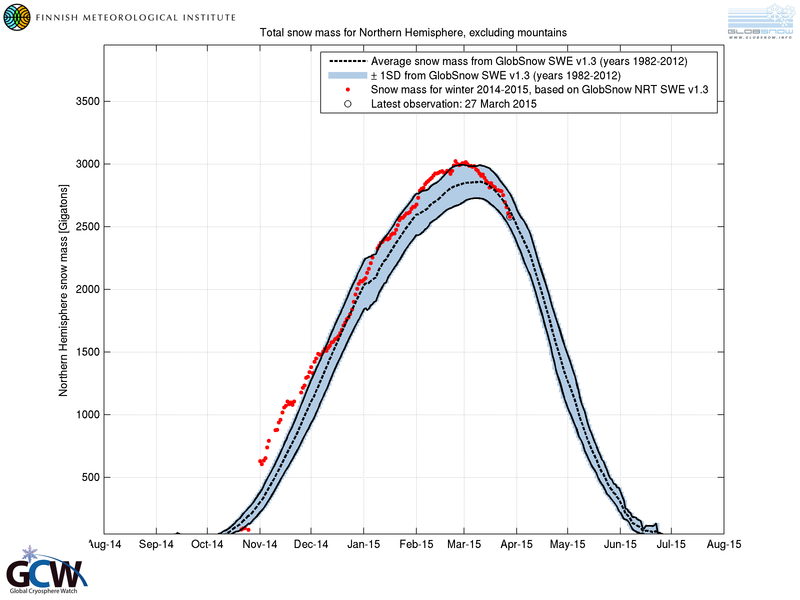 Once again Griff is grasping for straws since even your charts shows that there is a lot of sea ice up there. Not going bother explaining why. Griff, thanks for another belting laugh. A realistic reconstruction of Arctic sea ice. 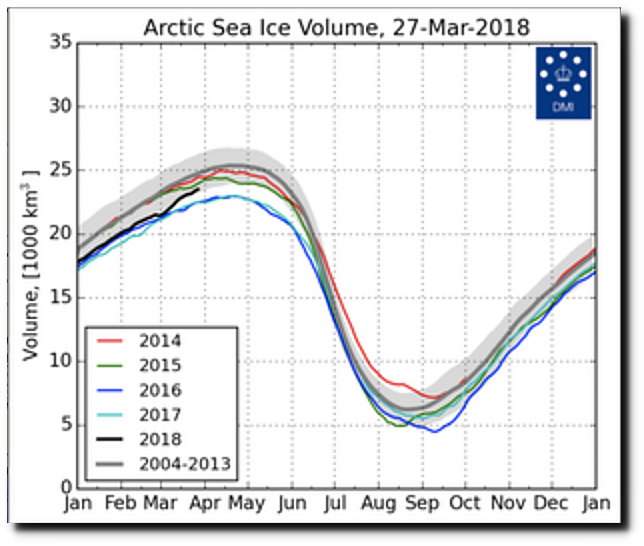 Notice how now is similar to the 1940’s and we know there has been basically zero change in the last 10-12 years, Much more thick ice now than 10 years ago.. FACT. It is currently ANOMALOUSLY HIGH., with a long way to drop to even get to the lower extent of the MWP. Perhaps griff would prefer the Russian charts. Maybe ease his continual Arctic sea-ice bed-wetting. You must be nearly drowning in yellow by now, griff. Use zoom to see the charts and dates . Using your data sources, we can see that the decadal variations are not consistent with CO2 but other factors, mostly likely strong sustained wind patterns blowing thick old ice out through the Fram Strait. For 1979-1989 … the average decadal mean anomaly relative to the 1979-2017 mean was just 1000 km-3. 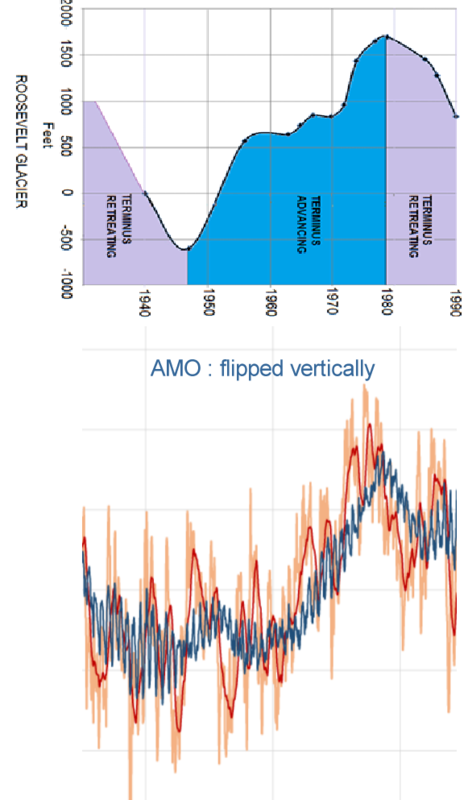 For 1989-1999 … the decadal mean anomaly is effectively zero (the mean). For 1999-2009 … the decadal mean anomaly dropped by ~2500 km-3 likely due to the collapse of thick old ice in 2007 being pushed out the Fram Strait. For 2009-2017 … the decadal mean anomaly has dropped by another ~3000 km-3 likely due, again, to prolonged wind patterns removing thick old ice in 2010 and again in 2012. Add in the effects of El Niño in 2005, 2010, and 2016 and you can see that winds removing sea ice in the Arctic have the effect of allowing an inordinate amount of heating by El Niño forcings. DMI’s Arctic temperature record >80°N shows that the first winter with pronounced warmer-than-average temperatures was in 2005, and that it’s really only post-2012 that this winter temperature anomaly has increased markedly. 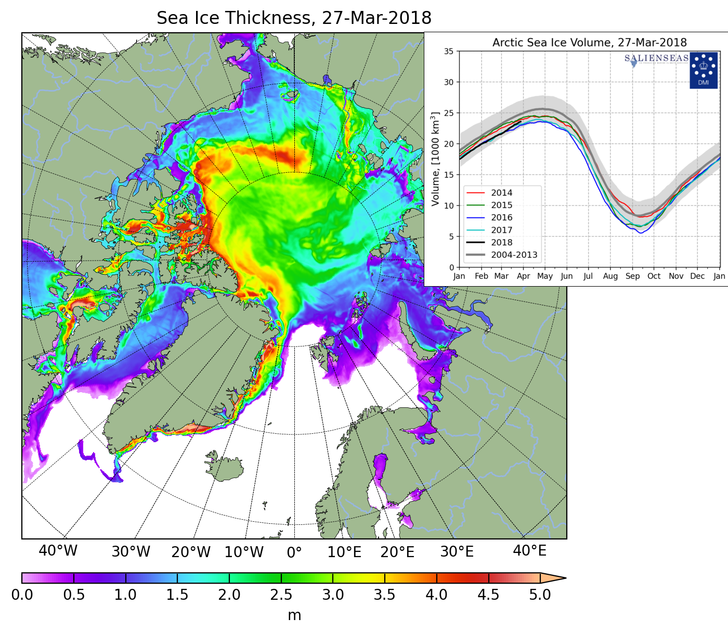 This adds further weighting to the effect of wind removing ice from the Arctic and not atmospheric temperature during the summer melt season. Average from 1972 ?? .. really? My one big question is, we only have satellite data since 1978. We are basing the all of this visual data on less than 40 years of information. We have no idea what the ice pack looked like 10, 20 50, 100, 200 years prior to that. Even in that short of time it most likely gained and lost much as it has today at different periods. I have found this all very odd that so many want to place so much on 40 years of images. But that is just a opinion of a lay person who has tried to self educate and watch the debate. I personally am not very persuaded. Parkinson published an article on arctic ice for the first part of the satellite measurement era from 1972 and specifically for the 1973-1987 period. Numerically, the recent maximum extent in 2018 was larger than that in 1974, though not significantly. 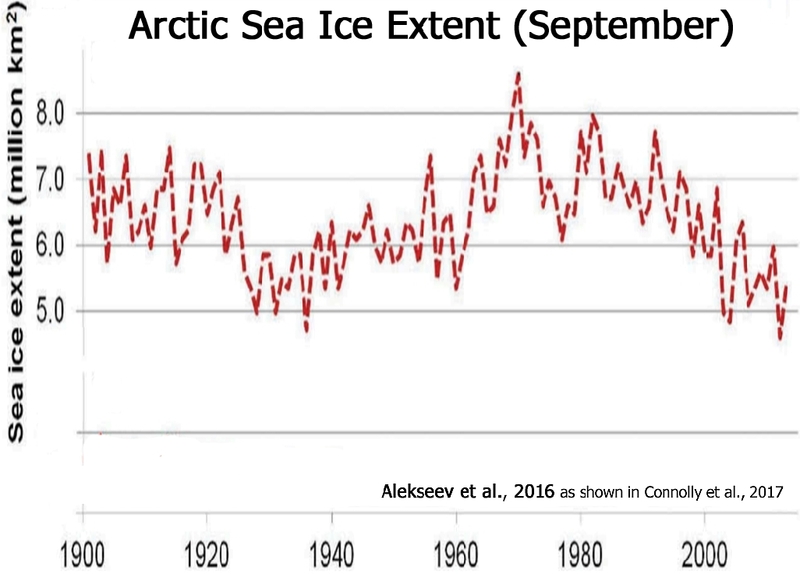 Arctic ice is back to where it was in 1974. This article was written before the prevalence of global warming alarmism. It’s true that the 2018 line is below the 2004-13 average, but the big El Nino around 2016 is over and 2018 is above 2017 and 2016, so far. Recovery is at least plausible – doesn’t look much like the crisis some people insist on. 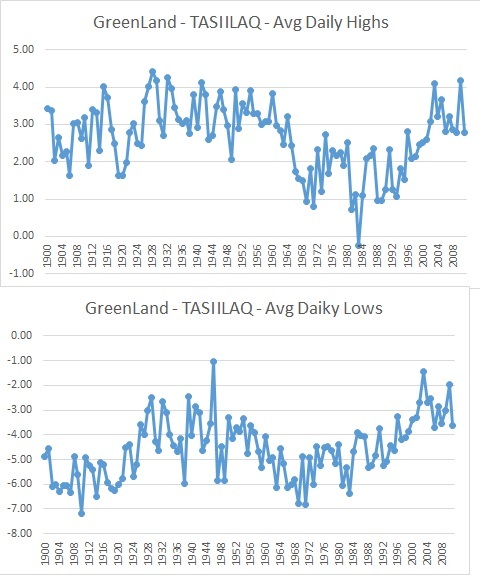 Temperature records from Greenland and Siberia warm and cool along with the global record. When I looked at these records a few years ago, the 1930s were still slightly warmer than then, i.e., natural warming in the ’30s without CO2 involvement was a bit higher than recently. Clearly CO2 had nothing to do with these temps. Add to this the fact that ice core data show that 8500 of the past 10,000 years were 2-5 F warmer than now. Only the last 1500 years have cooled. No CO2 then! Some bloke did a great study on Mt Baker glaciers. Sea ice tracks the AMO very well. 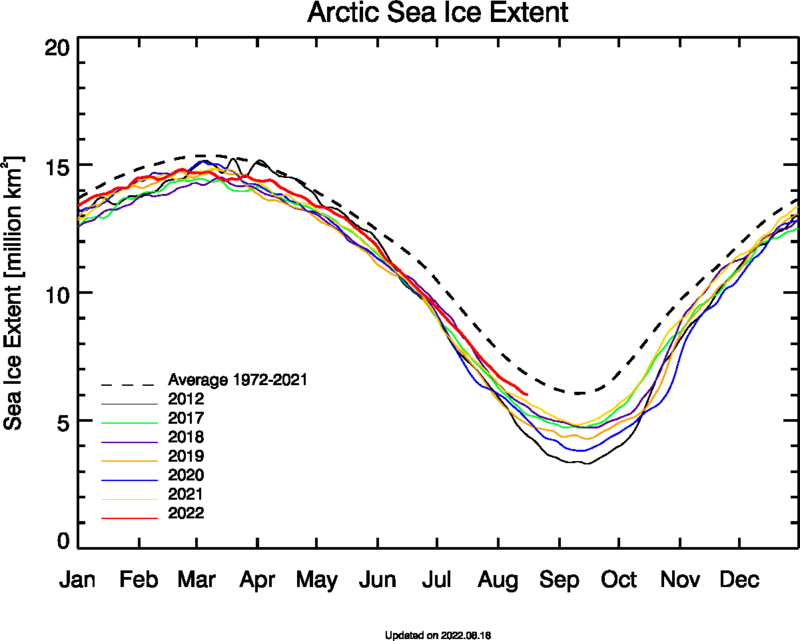 I only did the UIUC dataset against the AMO but if you look at the 1992 IPCC graph of sea ice that Tony puts u from time to time the data from 1972 to 1979 also matches. 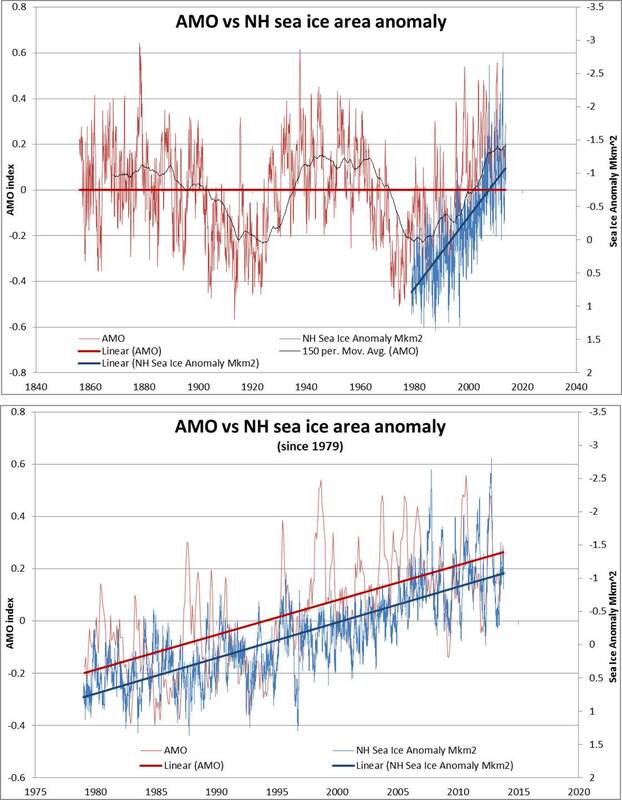 The AMO is derived from northern Atlantic sea surface temperatures. 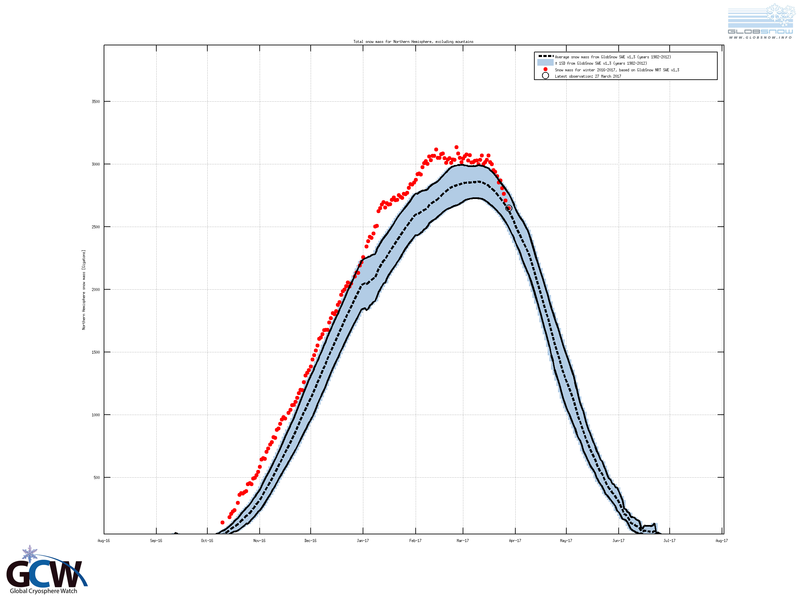 No surprise then that Arctic sea ice is closely correlated. There isn’t enough of a geographical connection to the Pacific for it to be a big driver. 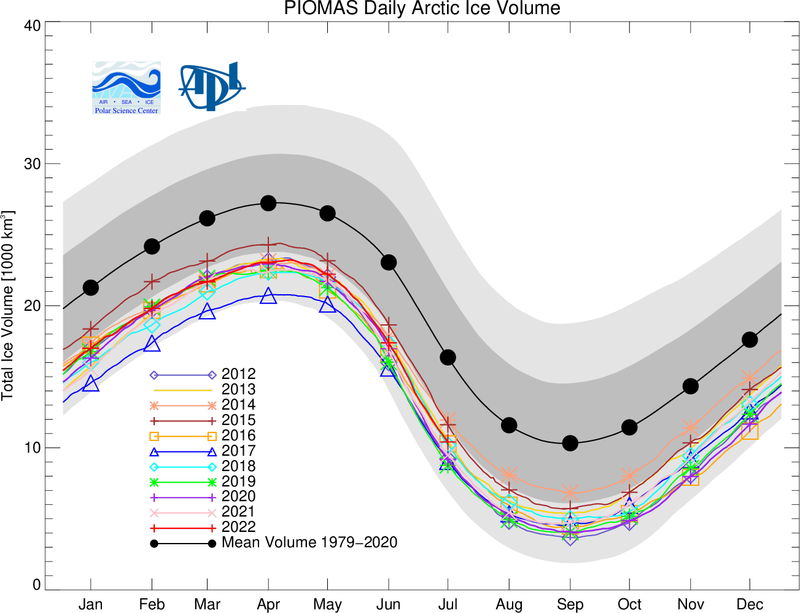 So when the AMO falls significantly sea ice will rise again. So it goes. You are dealing with a piddlingly short bed-wetting period of hysteria. FACT IS that current extent of sea ice is in the TOP 10% of the last 10,000 years. btw…. Piomess is NOTHING but an AGW scammer driven model. Do try to LEARN SOME FACTS, little bed-wetter. !! Why do you give a sh!t Ms Griff? Who died as a result of the recent ice melt? How many Ms Griff? How many people died? Now tell me how many people starved to death yesterday. Ms Griff is a psychotic human hating pimple on the arse of communism. Does anybody know if the Danish Meteorological Institute published the actual numbers somewhere? I mean the numbers that form the basis for the multicolored Arctic? Personally I like numbers, rather than some sort of approximation that I’m sposed to make. 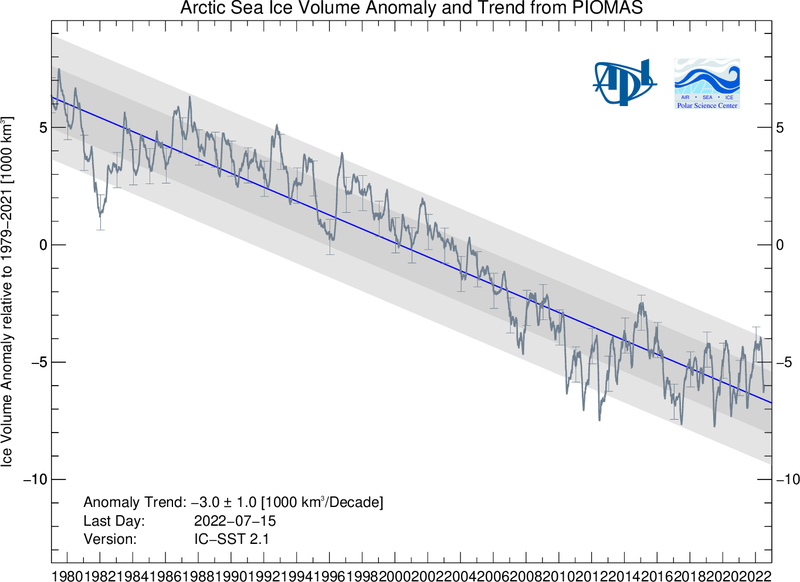 DOES the DMI say Arctic ice has increased by 2000 cubic km?